With printing, scanning and copying integrated into one stylish little device, Epson XP-355 offers all that can be pleasing for home and small office users. It provides users option to print with PC using USB or Ethernet or print away from PC using wireless connectivity with multiple options. Tagged under small-in-one series, this inkjet machine comes with a weight of 5.25 kg and dimensions 370 x 195 x 455 mm. Users can print documents with a speed going up to 33 ppm. The colour photos can be printed with a speed going up to 15 ppm. The integration of WiFi Direct enables users to print from any compatible wireless device without WiFi. In Addition, memory card printing can also be done to print projects, letters, greeting cards and more. Plus, it also supports printing via Google Cloud. Printing is made affordable with individual Epson XP- 355 ink cartridges which allows you to replace only the colour that runs out. A 3.7 cm colour LCD screen makes navigating printing options easily while allowing to preview photos. The small-in-one is compatible with many later versions of Windows and Mac operating systems. 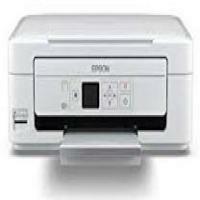 Epson XP-355 small-in-one provides good quality printing as well as scanning. The most appealing features of the device are its flexibility to print wirelessly via WiFi, WiFi Direct, memory card and even Google Cloud. Or, you can even simple perform printing with PC through Ethernet or USB. The device supports its own Epson iPrint and other third-party apps for easy printing. Hence, it can serve as an ideal option especially for home users who would like to be connected to the printer even while being away. How to fix “no print” issue in the Epson XP-355 printer? Turn off your printer and disconnect the printer’s data cable such that it is no longer connected to the computer. Make sure that you load A4 size paper or letter size paper in the auto sheet feeder. Hold on to the Maintenance or Ink button and press the power button of your printer. Firstly, release the power button only and when the printer takes in a sheet of paper, release the ink or maintenance button. The printer should now produce a nozzle check pattern. Note: If the nozzle check pattern prints correctly, it indicates that the printer hardware is fine and there is a communication problem. If you are using the printer after a long time span, then it is recommended to check for the Epson XP-355 ink cartridges nozzle. The nozzle gets clogged when not used frequently or on regular basis. This in turn will not fire any ink onto the page. Use good quality Epson XP-355 ink cartridges. The Epson XP-355 ink cartridges must be installed properly. If not, then re-install the ink cartridges. The printer you are using must be selected as the default printer. For Mac OS X user, make sure that the printer status is not paused. To resume the printer, select system preferences from the menu. Click printer & scanner, and double-click to select your printer. Further, click resume. Q. The black ink cartridge in my printer is empty and requires a replacement to continue printing. What are the steps involved in replacing an empty ink cartridge with a fresh one? When prompted by the printer to replace the ink cartridge, check the ink cartridge to be replaced using the up and down arrow keys and press “OK”. Select the “Replace Now” option for the expended ink cartridge. Remove the new ink cartridge out of its packaging and take off the yellow protective tape from the cartridge. Open the scanner unit of the printer to reveal the ink cartridge slots. Remove the ink cartridge you want to replace by pressing the tab on the cartridge and pulling it in the upwards direction. Insert the new ink cartridge and close the scanner unit. Press the power button so that the ink is charged into the print heads from the new ink cartridge. Do not turn off the printer while the ink charging process is in progress. Q. What is the print speed of Epson XP-355 printers? A. Epson XP-355 printers are relatively fast when it comes to printing. They can print black and white printouts at speeds of up to 33 pages per minute and colour printouts at 15 pages per minute. Q. I have spare Epson XP-355 ink cartridges as my printer no longer works. I am looking to buy a printer that uses the same ink cartridges as I am happy with the printing quality. Is it possible for me to find other printers using the same ink cartridges as the Epson XP-355 printer? A. Yes, there is a variety of printers that use the same ink cartridges as Epson XP-355 printers. You can find the whole list of printers compatible with the ink cartridge on the packaging of the ink cartridge, you can also find the list here. Just make sure to store the spare ink cartridges properly so that they do not dry up. Q. Will I get a replacement if a defective Epson XP-355 ink cartridge is delivered to me? A. Yes, we provide our customers with a replacement or a refund in case a defective product is delivered by us. All you have to do is contact our customer service within a month from receiving your product. We will make sure that you have a replacement for the defective product as soon as possible.